I still can't believe I went to Rwanda! January 7, 2014 I hopped a plane, actually 3 planes, and headed to Rwanda with my pastor. We went at the invitation of a man in our church; Chris Foreman. Chris has been involved in Rwanda for the last decade. During this time he's formed relationships, trained university students, almost completed a wonderful building and much more. 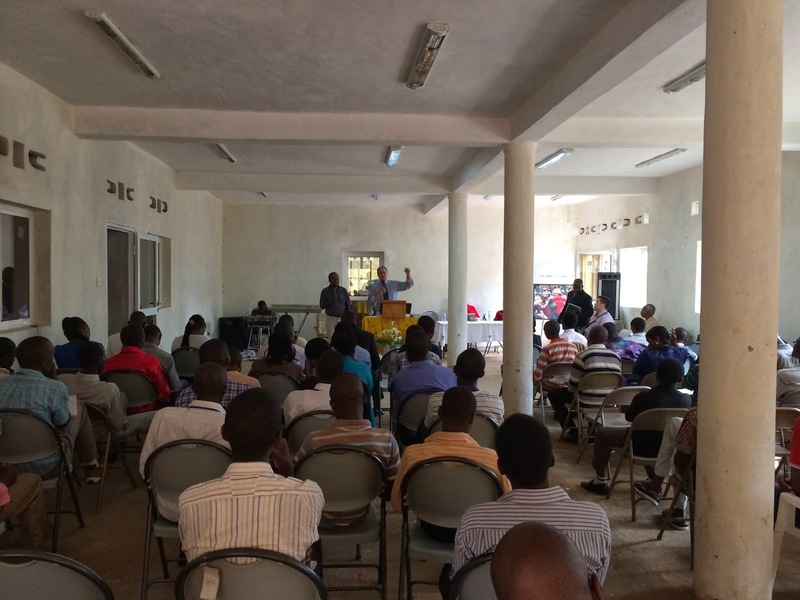 Chris invited us to teach at the Second Annual East Africa Apologetics Conference. Mark and I landed in Kigali late Wednesday night, we both wanted to get to a hotel as soon as possible and crash out. Instead we got in a car, drove around town, ate dinner and took a three hour trek to Huye, Rwanda. Going to bed at 2:30am isn't my regular routine but for this trip it was just how the plan worked out; we were on Africa time. Waking up in Huye was a sight for sore eyes; I wasn't prepared for the beauty this city had to offer. I expected the town to be more of a desert environment but I was wrong. The land was very fertile and gorgeous. The people we met were amazing; so loving and caring. I was constantly impressed at how engaged the people were, maybe because everyone didn't have an iPhone to look at or constantly felt the need to update Instagram. While in Rwanda we taught, preached, made friends, visited a genocide memorial, worshipped, laughed, ate, shopped and much more. In the next couple days look for new posts about: teaching in the conference, the friends we made and Rwandan worship. I just don't have room to cover the whole trip in one post. I still can't believe I went to Rwanda but I'm so glad I did. Its been two years today. I still remember exactly where I was sitting when I found out the news; in fact I wasn't sitting I was laying down on my couch in Vegas. I wasn't feeling well and Charity took our girls out to the park. I was relaxing on the couch when she walked in our home and told me. Actually she asked me if I had heard. Charity: "Did you see something happened to Bear?" I will never forget those words... or that conversation... or that day. My life isn't the only life impacted by the news we heard of the loss of our friend. This is the last picture I have with Rob and I miss him. It wasn't the last time I saw him but it was the last time I got my picture with him. There hasn't been a week gone by in the last two years I haven't thought about him. I wish I counted how many times I had dreamed about him. My dreams were so real I would wake up thinking I just spent time with him the other day only to come to reality and know I will not see my friend again here on earth. Rob passed away before his 32nd birthday; this is way too short! The years we spent together were filled with excitement, turmoil, ruckus and laughter. We bickered together, fought side by side and fought each other at times. I wish I had more years with Rob but I don't. About 5 weeks before Rob passed away he called me and I called him back and we kept missing each other. I was with my in-laws for Thanksgiving and told him I'd call him later. We texted a little bit that Thanksgiving but I never called him back... and I feel horrible. We're all going to grow up, its inevitable. What I've learned from my life is I get busy real quick. This year I want to spend more time with people than I spend with my phone, computer or iPad. I want to make more memories with my friends and family. I don't want to look back on my life and wish I hadn't been so busy.